A funnier way to wish someone on their birthday is to tell them that growing old is compulsory but growing up is a choice! The implication being, while one cannot prevent aging, getting expectedly mature with that age, is an individual choice. Corporations work in a similar way where the age is often used as a justification to resist change in the status quo. Thus, a refusal to mature with time and not welcoming new leadership, is commonplace. In my opinion, if you spared a dollar, each time you heard - “that is how it has always been done, here!” - you would be very rich, very soon! The credibility that comes with the age of a company, is unparalleled and much respected. It is also one of the biggest contributors to its brand value. However, just as in our lives, age is nothing more than a proof of survival. While survival indicates fortitude and endurance, it neither tells the story of the state of management (akin to “quality” of life) nor is it an omen of things to come, pertaining to the health of the company. This is an important distinction for young leaders to understand as, both the lure and the ease, of falling for the status quo, could be dangerous. Add to it, the resistance, and despite of all good intentions, this could be an uphill battle for a young professional. How does this translate for a young professional? Show up and start small! Yes, it could, and probably should, be that simple. Leadership does not begin with titles. Anyone who can take upon the onus of inspiring others whilst developing a strategic plan with a long - term view, could be a leader. What they need to recognize is their circle of influence. Stephen R. Covey, in his famous book 7 Habits of Highly Effective People, simply defines circle of influence as the things one has control over. Very often, we lose energy and time, focusing on factors outside of this circle (known as circle of concern) and thus, never realize the individual impact of our working style. In this circle, you must encourage, influence, gauge, and lead with vision and strategy. For young professionals, leadership begins with effective project management. Even if you are in-charge of only one project, you can be a leader in that by focusing on the right things. Reassessing your role and responsibilities, with a larger picture and a long-term view, is the first step of being an effective leader and a better employee. Project management across teams, helps in both, understanding the perspective of the company and the opportunities of change. One of the most significant lessons from project management resides in team building. Having the right people in the right jobs, and entrusting and empowering them, is a virtue that must be realized by all aspiring leaders. Project Management is demonstration of team work and a good leader is an integrator of people. To make people feel listened to, understanding their perspective and to get their point across others, on their behalf, are all seemingly obvious, but surprisingly rare qualities. The ones who can hone in on these small things, can make up for great leaders of the future. 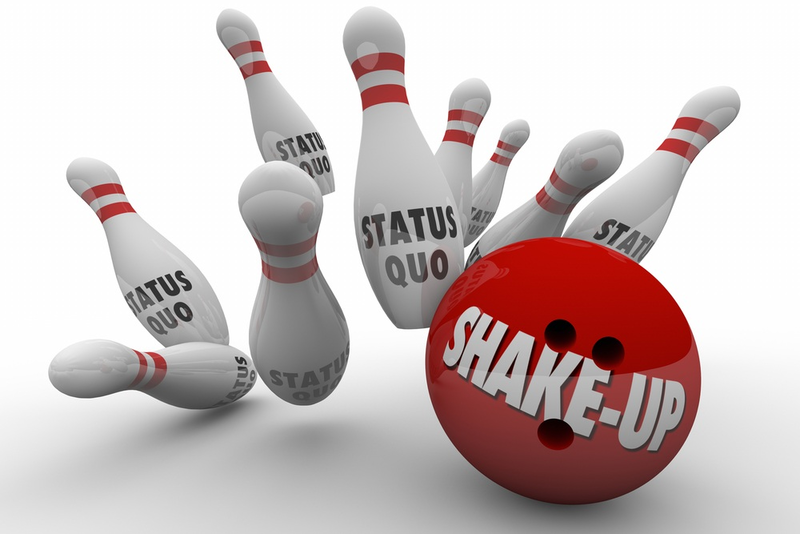 Changing the mold of status quo is a gradual process. It probably would start with a small group and a project with limited scope. But it is the skills that you display and develop in the process, that would account for greater successes. Make best of such opportunities early in your career to develop interpersonal and leadership skills. Leadership is probably one of the best explained, yet one of the least defined, of all the corporate strategies. I would extend this to personal lives as well where the need and definition of a leader and leadership are constantly discussed but seldom elucidated. In my opinion, the first and the foremost reason for this is the fact that leadership is often viewed as a natural trait rather than a skill that can be instilled. It is often suggested that either someone is a born leader or not. The ones who believe they are not, become followers by default. The second reason is simply the nature of the skill itself. Every leader has a unique style and philosophy and hence, the definition of leadership, often, varies. While both aforementioned points hold true, they do not present the complete picture. Certain fields like sports, the armed forces and politics, are fertile grounds for natural leaders who possess the innate ability to revolutionize the status quo. However, in all other professions, and in our personal lives, this trait should be nurtured and progressed. What is the need for someone to be a leader? Data suggests that, currently, more than 50% of the world’s population is under the age of 30. We live in the time when all aspects of our lives are dominated by this group and it is clearly illustrated by the ever-evolving daily means and norms. 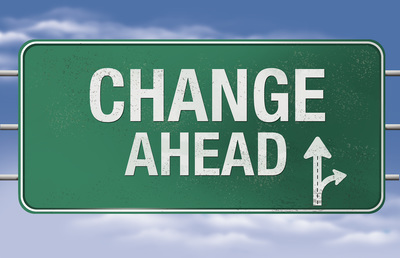 With changing times, the leaders, the led and the leadership would evolve as well. The world order is changing, and this is the time to emerge and lead. On the personal front, the need for leadership is more consistent and perennial. Only when one learns to recognize the moments to lead, that they get to take charge and live a life where circumstances do not get overwhelming and they emerge unfazed. Personal leadership also teaches mindfulness, enhances empathy and widens world view. What is this series of write-ups about? I firmly believe that leadership can be inculcated in committed individuals. Its seeds can be sown simply by helping them recognize the small things that account for big successes. From captains motivating their teams to strive for greatness to First Responders rallying strangers in time of a crisis, there are stories, role models and lessons of leadership in our daily lives. 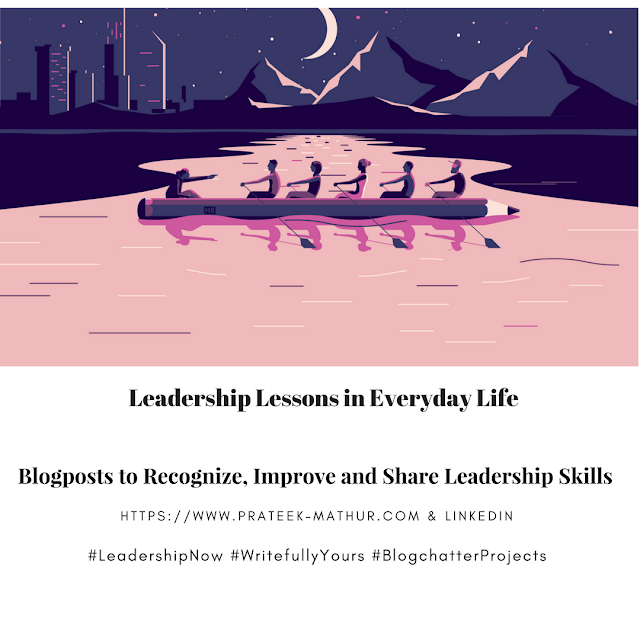 Through this series of posts, I would like to share views and experiences, seek opinions and build a mutually fruitful dialogue about recognizing pivotal moments and lessons crucial for development of this skill. The posts would be available on my personal blog for the #BlogchatterProjects campaign. I would also be sharing the same on my personal LinkedIn page. Follow the hashtag #LeadershipNow on social media to stay abreast with the campaign.